...but then I let it breathe. 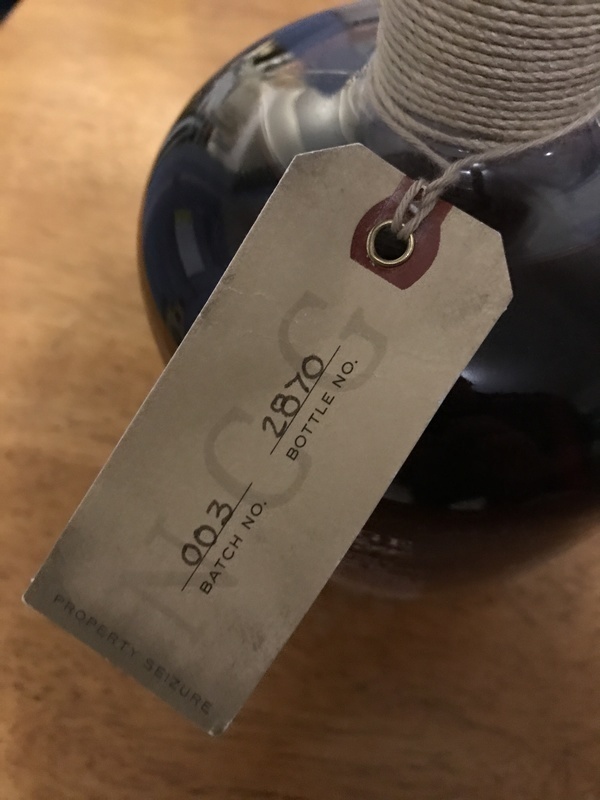 Toffee, vanilla and dried fruit on the nose, silky mouthfeel with added notes of maple and tobacco and a long, lingering finish. Expensive, but worth every penny. I like the 12 but the 23 is just so smooth and easy to drink. 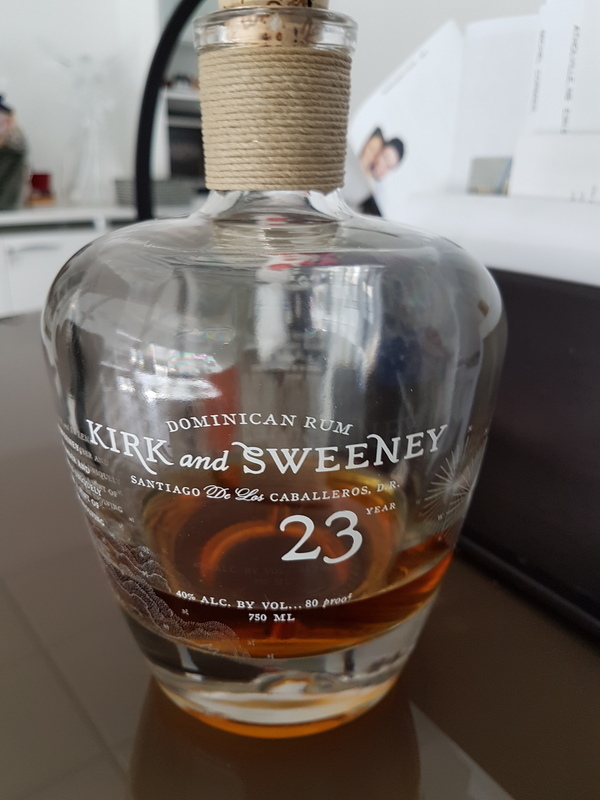 The best rum I have had so far!!! I buy a bottle of this any chance I get!!! Rich, complex, smooth, just flat out delicious. Yes I drink it with a mixer and I love it that way! Did a side by side with zacapa xo. This was smoother with equal depth and flavor. 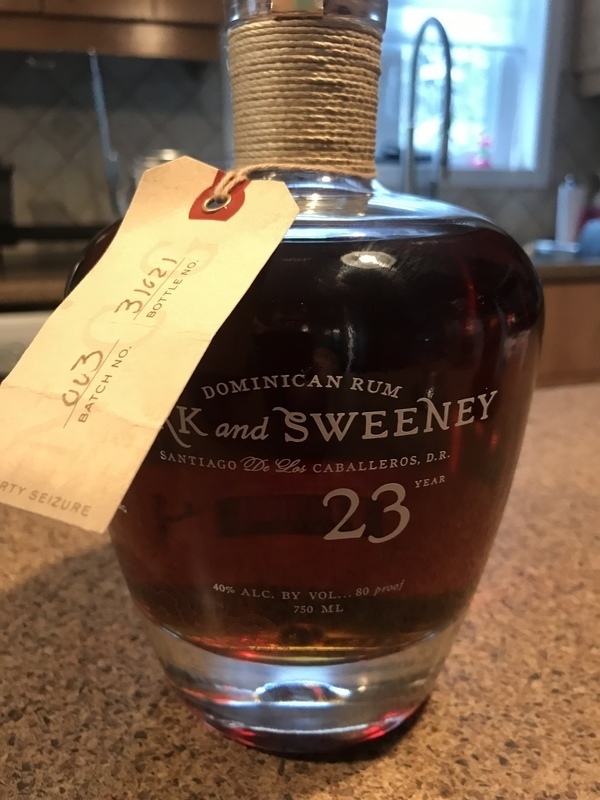 Best rum I’ve ever had. I haven't tried much higher end stuff, probably 20 different ones including the K&S 12, so far this is my absolute favorite with the 12 being #2. This Rum has by far the heaviest carmel tones of any rum I have tried. 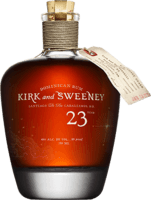 K&S 23 is one of the best rums I have tasted. It is definitely worth the £48 I paid for it, I don't think you can buy a better rum in that price range. Awesome flavours and smoothness with no burn. Oh and the bottle looks great. Cest le meilleur rhum que jai goûter à date note de vanille avec une fin un peu épicé vraiment doux incomparable!! A truely great rum! Sweet but not as sweet as plantation xo or zaya. A good bit of oak but not as much as I would expect from 23 years. Well balanced and well done. Not just the best rum I have had but the best spirt. You will not find anything better for under $100. This is the first rum that I have had that my first thought is tobacco. Very smokey and oaky. Great sipping rum on the rocks. I will look for this rum again. I normally don't spend this much on a bottle. I was pleasantly surprised!!! It was smooth and flavorful. It didn't taste like any sugar was added. I would definitely buy again! Sehr mild, weich und leicht, nicht aufdringlich. Am Anfang deutlich frisches Aroma, Orangenduft, dann leichte Schärfe, nicht zu süß. Etwas bittere Note, hat dadurch eigenen Charakter. Kein Mainstream-Rum. When I had my first sip I thought I had peeled a banana! The banana fragrance hit me immediately followed by caramel and vanilla. A bit of coffee comes through a little later. 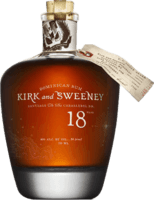 This is an exceptional rum and for a rum over 18 years it's tough to beat....especially for the price....around $55. This rum actually opens up twenty minutes after pouring. I'm giving this a 9 ..., although if looking at it solely from a price point...it would be a 10. Why not a 10? Because the El Dorado 21 is a true 10 and I cannot give this the same perfect score. Nevertheless it's outstanding.